The head of a federal investment-promotion agency -- and former national director of the Liberal Party of Canada -- resigned last week from the board of a holding company specializing in cannabis after he received an order from Canada's ethics czar. The order was issued against Ian McKay under the Conflict of Interest Act on Jan. 15. Conflict of Interest Commissioner Mario Dion alleges McKay failed to disclose all of his outside activities within 60 days of being named CEO of Invest in Canada. Dion's order says McKay's role as a director with the Nesta Holdings Co., a private equity firm that invests in the cannabis sector, was no longer allowed after the Trudeau government appointed him to lead Invest in Canada in March 2018. "I therefore order you to resign from the board of directors of Nesta Holding Co. Ltd. and to submit to my office, within 10 days of the deemed date of service of this order, proof of receipt of your resignation from the chair of Nesta Holding Co. Ltd.'s board of directors," the notice said. McKay stepped down two days after receiving Dion's order, Nesta Holdings CEO Chuck Rifici told The Canadian Press on Friday. "I can confirm we received his resignation letter on Jan. 17," Rifici wrote in a message. He said McKay had served on the board since the company's launch three years ago. Invest in Canada said McKay was not immediately available to comment on the matter. Susan Wong, a spokeswoman for the agency, wrote in an email that McKay "respects and will always abide by the commissioner's advice." "That is why he reached out to the commissioner's office for guidance as soon as he realized his error," Wong said. "After receiving the commissioner's request for him to resign the board position, he did so." When McKay was appointed as CEO of Invest in Canada he did resign from the board of Auxly Cannabis Group Inc., another company led by Rifici. McKay kept his board position with Nesta Holdings up until last week, even though his appointment as CEO of Invest in Canada prompted his resignation last summer from the board of Auxly Cannabis Group Inc., which is another company led by Rifici. "In my opinion, there's no one better than Ian to launch this agency and promote Canada as a premier destination for foreign direct investment," Rifici, Auxly's CEO and chair, said in a statement that accompanied the July 2018 announcement. "Our loss is Canada's gain." 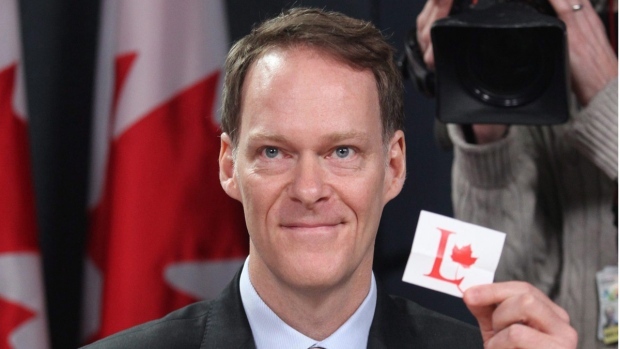 McKay was the Liberal party's national director from 2010 to 2013 and he briefly served as Prime Minister Justin Trudeau's personal envoy during difficult Pacific Rim trade negotiations involving Japan. In the 2000 federal election, he ran unsuccessfully as a Liberal candidate in a Vancouver-area riding. Conservative deputy leader Lisa Raitt called McKay's alleged failure to disclose his work in the cannabis business after being named to public office "absolutely outrageous." She added that it makes her extremely concerned about what kind of appointments the Liberal government is making. Raitt told reporters Friday in Ottawa that somebody appointed to bring investment to Canada must disclose all of their directorships -- especially ones involved in seeking investments for industries like the cannabis sector. "And he chose to hide it from the ethics commissioner," Raitt said. The website of Ottawa-based Nesta Holdings describes the company as a "private equity firm that builds partnerships and brands within the cannabis space." Rifici is a former chief financial officer for the Liberal Party of Canada and was its treasurer for five years until June 2016. He is a co-founder and former CEO of Canopy Growth Corp., which is now one of the world's largest licensed cannabis companies. The Trudeau government first announced Invest in Canada, which was initially dubbed "Invest in Canada Hub," in fall 2016, promising $218 million over five years to create it. The goal of the agency is to lure global investment and simplify the process for international businesses to make Canada their new home.